The question of development is a major topic in courses across the social sciences and history, particularly those focused on Latin America. Many scholars and instructors have tried to pinpoint, explain, and define the problem of underdevelopment in the region. With new ideas have come new strategies that by and large have failed to explain or reduce income disparity and relieve poverty in the region. Why Latin American Nations Fail brings together leading Latin Americanists from several disciplines to address the topic of how and why contemporary development strategies have failed to curb rampant poverty and underdevelopment throughout the region. 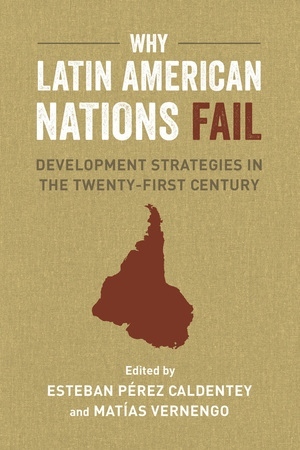 Given the dramatic political turns in contemporary Latin America, this book offers a much-needed explanation and analysis of the factors that are key to making sense of development today. Matías Vernengo is Professor of Economics at Bucknell University. He previously taught at the Federal University of Rio de Janeiro, Kalamazoo College, and the University of Utah. He was Senior Research Manager at the Central Bank of Argentina and external consultant to several United Nations organizations. Esteban Pérez Caldentey is Chief of the Financing for Development Unit at the Economic Commission for Latin America and the Caribbean in Santiago, Chile. He teaches a course on alternative economic models with applications to Latin America at the University of Santiago de Chile. 7. Economic Performance in Latin America in the 2000s: Recession, Recovery, and Resilience?